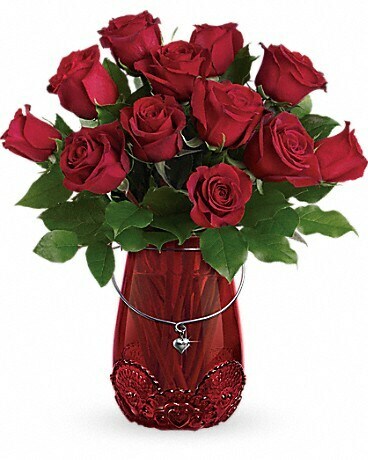 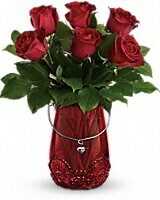 This Valentine's Day, celebrate the light of your life with this stunning red glass lantern vase, bursting with 6 classic red roses and adorned with a shimmering heart charm. 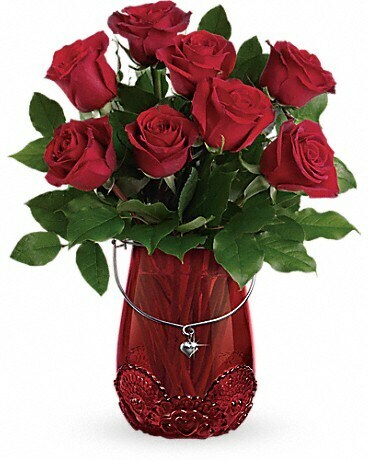 This Valentine's Day, celebrate the light of your life with this stunning red glass lantern vase, bursting with 8 classic red roses and adorned with a shimmering heart charm. 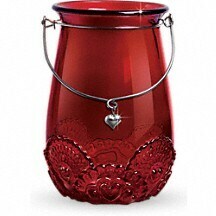 This Valentine's Day, celebrate the light of your life with this stunning red glass lantern vase, bursting with 12 classic red roses and adorned with a shimmering heart charm.